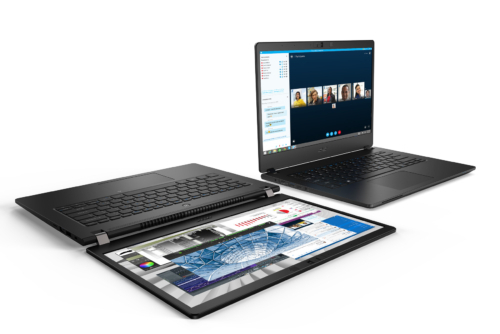 Acer today announced its latest addition to its iconic TravelMate P6 series, a thin, light, and durable commercial Windows 10 Pro notebook series built for professionals that travel frequently or work in the field. Robust and powerful with up to 20 hours1 of battery life, it’s built to withstand life on the road and support heavy workloads. Amiya Raya Highland Homes (Amiya Raya) welcomed the year with the unveiling of Revolution Hills –a partnership of Community Creators, Inc. (CCI) and Revolution Precrafted, a property-tech company founded by Mr. Robbie Antonio. Revolution Hills @ Amiya Raya is a collection of designer homes by three of the top and most sought-after architects in the Philippines namely Eduardo Calma, Kenneth Cobonpue, and BudjiLayug/Royal Pineda. These designer homes are being offered fully-furnished, with prices starting at PhP 6.8 million. A car costs a lot of money and like anything that does, it has to be well taken care of. If you have your jewelry, watches, bags, and even couches cleaned and maintained, a car should get the same VIP treatment. So how do you take care of such a valuable investment? By making sure the car gets regular tune-ups, including oil change. Oil reduces friction and provides lubrication to help make the engine run smoothly, for that worry-free vehicle performance. Ideally, you should get your car’s oil changed as prescribed in your car owner’s manual (typically every 10K Kilometers, 6 months, or when oil sludge starts to appear). Three times the fun with 0917 Lifestyle’s We Bare Bears collection! Start your 2019 with fun and sweetness as 0917 Lifestyle and Cartoon Network join forces for a bear-y special collection – 0917 x We Bare Bears! Join the adorable trio of bears – Grizzly, Panda, and Ice Bear – that have taken over the World Wide Web as they star front and center in the latest collection from 0917 Lifestyle. The colorful and eye-catching collection consists of limited edition shirts, sweaters, and jackets -all featuring the internet-famous bears – that you can easily mix and match to pull off the perfect #OOTD. It also features a one of a kind denim jacket with a print of a tiger, inspired by the bedazzled, mystical Jean Jacket the bears found that could shift the wearer’s luck.